At this historic guesthouse for Berea College, many strange events have been reported. 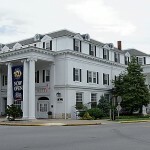 Some say the site was once part of the Underground Railroad, and the apparition of at an African-American boy has been spotted here; others say this information is inaccurate, and that the hotel was not built until after 1900. Boone Tavern was built after the Civil War and doesn’t have a basement. Mike. Boone Tavern does in fact have a basement. 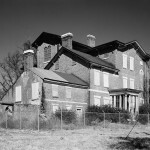 Boone Tavern wasn’t built until after 1900. During the Civil War there was almost nothing in what is now Berea. It was a rural area with farms and not even a post office. Fee and others had tried to start a school on land donated by Cassius Clay, but they had been run out of the area. They only had two or three small buildings.The name of the town came from the name of the school, after the war. I can say with certainty that there is a basement in the building. it was built after the civil war though as a way for visitors of the college to have a place to stay. since the town was built around the college there were no other hotels. Everyone I have known that has worked there refused to even enter the basement if avoidable. 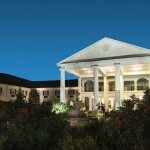 I visited this hotel twice in the last few weeks, both time for meals in the dining room. One of the wait staff told me that he is afraid to go into the basement because of some things he witnessed. He told me they keep the linens stored down there and once when he was there, three linen napkins “were pulled” out of the pile and dropped on the floor. He also claimed there is a rocking chair that sits down there and was moving back and forth. No fan was there. This guy also told me that many of the staff have seen stuff and others haven’t. Allegedly, room 301 is also haunted. I read that room 301 is said to be haunted, so I followed the sign that pointed to room 301 only to find that there IS NO room 301! What the heck? There was a sign with an arrow pointing to 301. At the place where it should be there us a stairway exit.